ABU DHABI isn’t just a futuristic-looking city fringed by white-sand beaches and turquoise waters. This is the largest of the seven emirates of the UAE, covering 26,000 square miles and encompassing 200 islands and a sand-dune desert where Arabian sand cats and oryx roam. It’s also the best place in the country to get in touch with the region’s history and traditional culture. 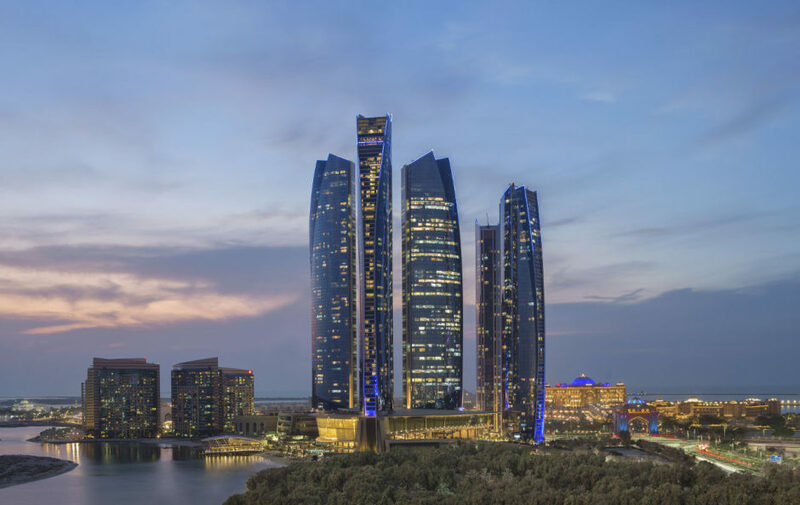 An emirate of souks and beach lounges, mosques and mangroves, oases and historic fortresses, Abu Dhabi’s diverse to say the least. And endlessly fascinating. Take a look at these 20 images and you’ll see what we mean. Expansive enough to fit 40,000 worshipers, the UAE's largest mosque is an homage to white—in the shape of 100,000 tons of Macedonian and Greek marble—and gold, which covers the Swarovski-laden chandeliers and other features of the dramatic interior. Sunset is one of the best times to see these colors come to life, and everyone is welcome outside of prayer times. Take a complimentary 45- to 60-minute guided tour to learn more about the world’s second-highest-rated landmark—only Machu Picchu beat it out in this year’s Travelers’ Choice Awards by TripAdvisor—and to learn a little more about Islam while you’re at it. Prayer times change daily; the mosque’s website will keep you up to date. The largest of the Arabian antelopes, the Arabian oryx once inhabited the entire Arabian Peninsula, but by the 60s it was extinct as a wild species. 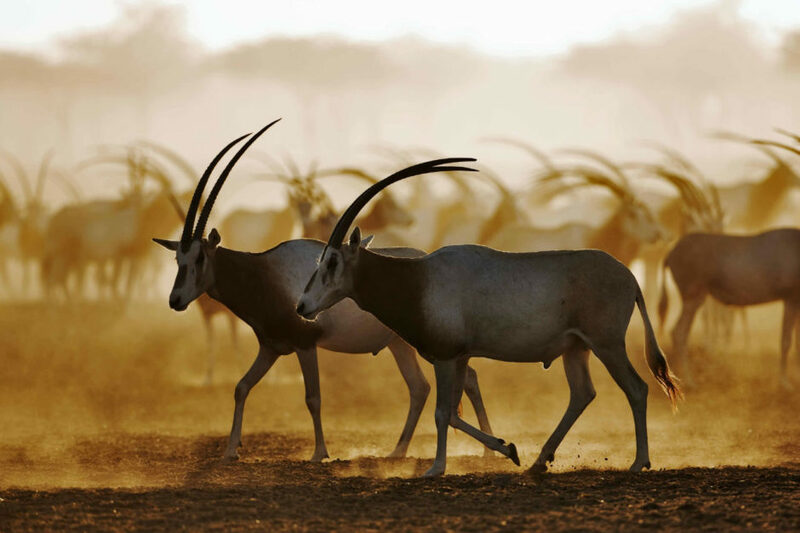 Through reintroduction programs, however, there are now herds at several locations in Abu Dhabi. Both males and females have horns, which can grow close to three feet in length. Their white bodies help to deflect the sunlight in the heat of the desert. The best place to see them? Abu Dhabi's Sir Bani Yas Island, awarded the World’s Leading Sustainable Tourism Destination at the 2014 World Travel Awards. Making use of aromatic spices from across Asia and the Middle East, Emirati cuisine reflects its trading heritage. Cinnamon, saffron, turmeric, and cinnamon are the stars in many dishes, as are nuts, limes, and dried fruit. 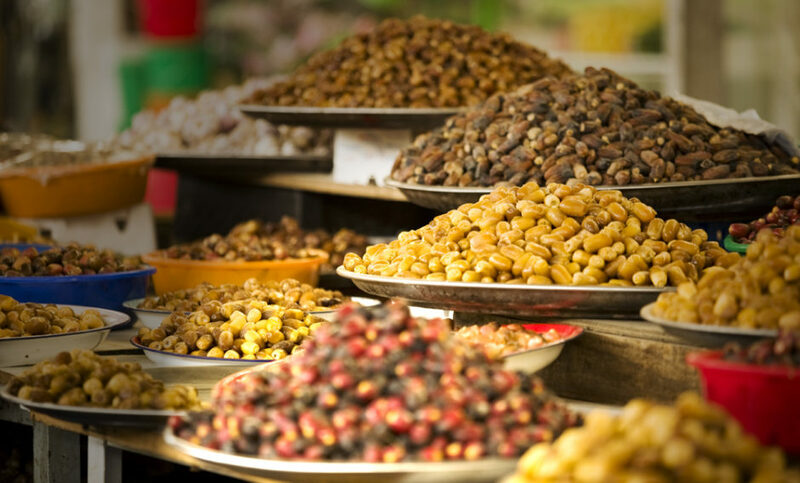 Head to Abu Dhabi’s Al Mina Fruit & Vegetable Souk to shop for local produce. 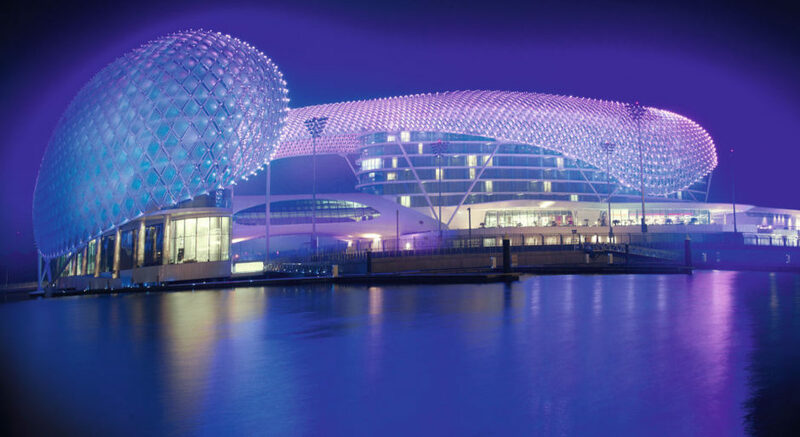 See more: Abu Dhabi is 3 amazing destinations in one. Here's proof. 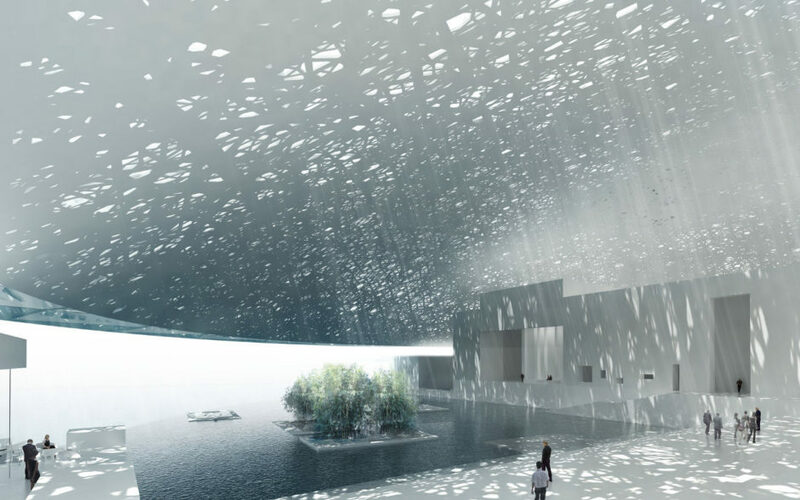 The much-awaited Louvre Abu Dhabi has been in the works since 2007, and it’s finally nearing completion. On opening, featured artwork will hail from both East and West, from millennia past to today. Also coming to Saadiyat Island Cultural District will be the Guggenheim Abu Dhabi, which, when completed, will be bigger than the New York branch. Abu Dhabi’s desert sand dunes are big. 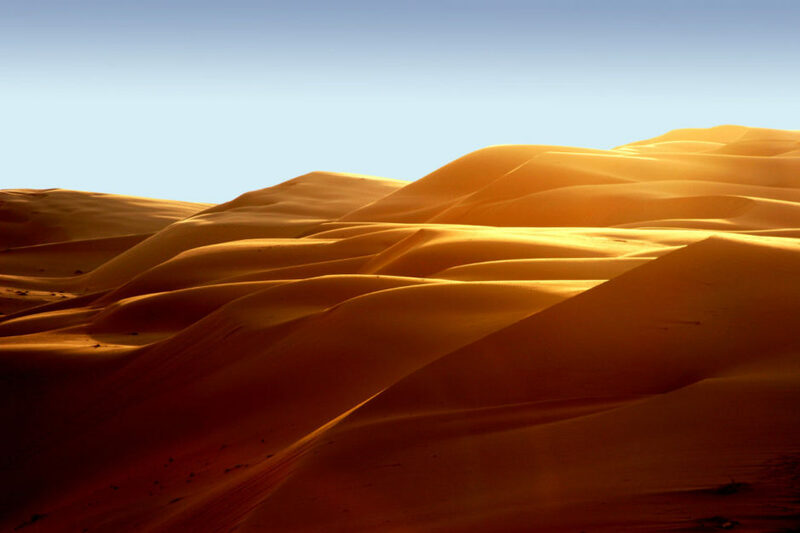 In fact, the Empty Quarter is home to what might be the world’s tallest dune at nearly 1,000 feet: Tel Moreeb. Its incline is 50 degrees, and it draws 4x4 and quad bikers from all over to compete in the Moreeb Hill Climb event as part of the Liwa International Festival each year. Connected to Yas Marina Circuit—home of Yas Marina Yacht Club and the Formula 1 Etihad Airways Abu Dhabi Grand Prix—via a link bridge, Yas Viceroy Abu Dhabi may look like an otherwordly space ship studded with cool LED lights, but it’s actually a luxury 5-star hotel and one of the most buzzing hangouts in the city, with 11 restaurants and lounges, and the ever popular Rush nightclub. Abu Dhabi’s shoreline is strung with mangroves, and this unexpected ecosystem (and its resident birds) are best seen by kayak. 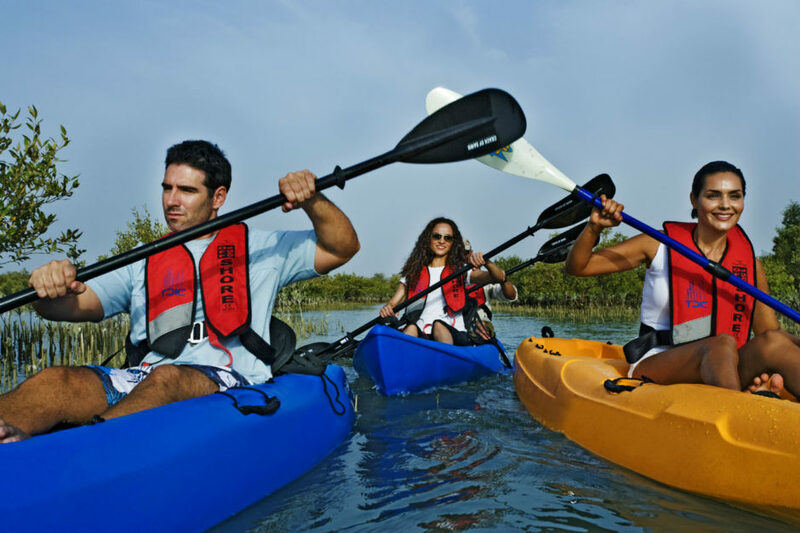 There are numerous outfitters who’ll take you out on the water; Noukhada runs full-moon kayaking tours and overnight camping trips. See more: Abu Dhabi might just be the most exciting destination in the Middle East. Here's why. 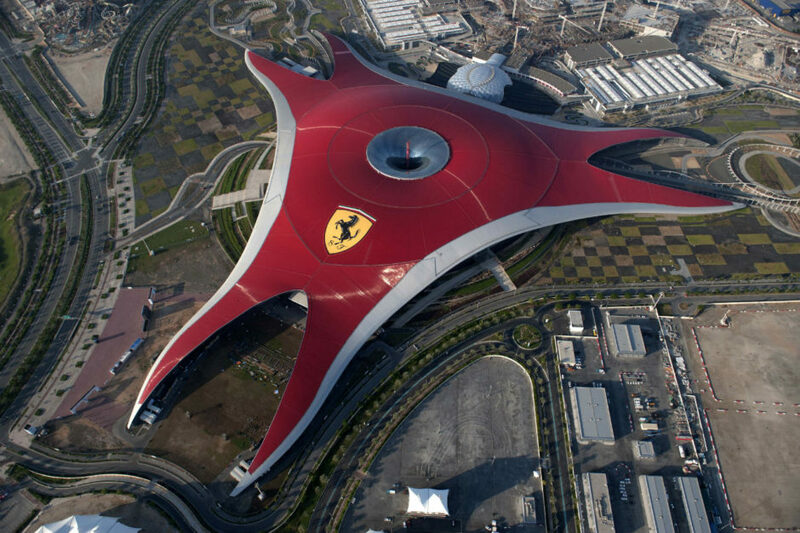 Ferrari opened its first theme park in Abu Dhabi in 2010; underneath the park’s distinctive red roof are a ton of record-breaking rides, including the world’s fastest roller coaster—Formula Rossa—and the roller coaster with the world’s tallest loop, called Flying Aces. There are also electric go-karts, live shows, and so much Italian food. Abu Dhabi has 250 miles of coastline, and there are so many islands offshore you can explore by dhow (the traditional sailing vessel in this part of the world). Sunset dinner trips are an especially popular way of heading out on the water, with numerous outfitters offering packages. December 2 is National Day in the UAE. Celebrating the unification of the seven emirates and the founding of the country in 1971, the holiday sees firework shows, live concerts, sailing regattas, air shows, and heritage festivals take place across Abu Dhabi. 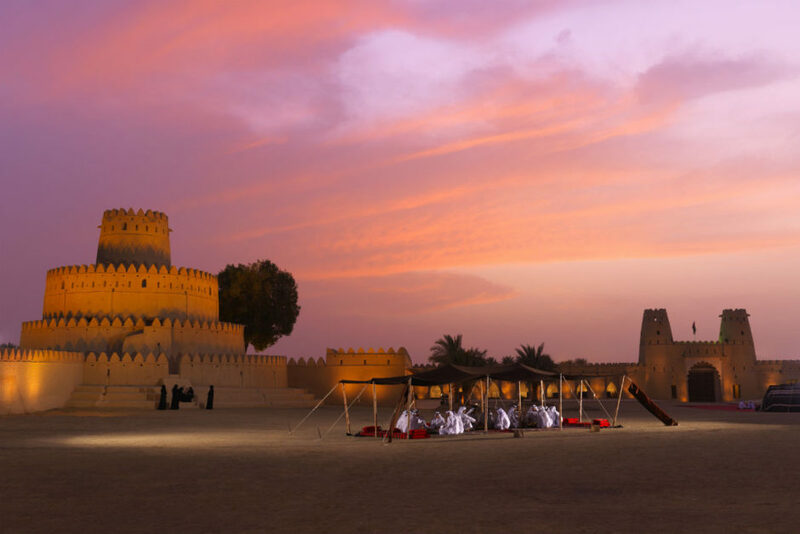 One of Abu Dhabi’s most historic buildings, Al Jahili Fort was built in the 19th century to protect the city of Al Ain and its precious palm groves. Now a museum, the manicured gardens here are beautiful and worth exploring, as is the permanent exhibition on British explorer Sir Wilfred Thesiger. His journeys across the Empty Quarter in the 40s were famously documented in his travel classic Arabian Sands. Abu Dhabi’s practically synonymous with skyscrapers, and some of the most distinctive are part of the Etihad Towers complex, made up of five super-tall buildings. Head to Tower 2 and the 74th-floor Observation Deck at 300 for views across the whole city and islands, and for afternoon tea from a 300-meter-high vantage point. Falconry has been practiced in the Emirates for more than 2,000 years, so it makes sense that Abu Dhabi would be home to the biggest and most advanced falcon hospital in the world. There are two tours of the complex each day; on a visit you’ll see free-flying falcons and a museum, and you might even get to have your own go at falconry in the hospital gardens. 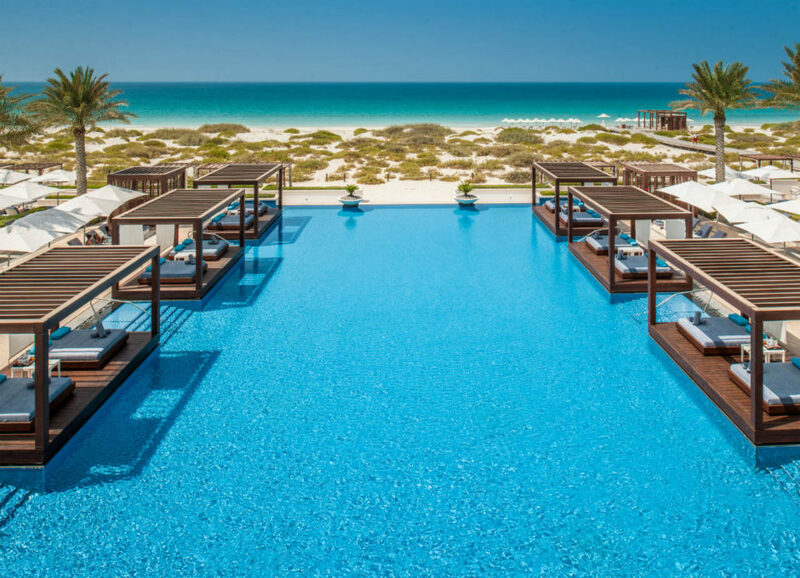 Right on the Arabian Gulf, Saadiyat Beach Club has a beach of the perfect, white sand variety, restaurants and lounges, a spa, sauna, steam rooms, and one of the best-looking pools in the country. And it isn’t just Abu Dhabi’s cool kids who hang out here; at certain times of year hawksbill sea turtles arrive to nest. The Abu Dhabi police force are more Fast & Furious than Police Academy—in its fleet is one of the world’s most expensive cars, the $3.4 million Lykan Hypersport. The first supercar to be produced in the Middle East, the 770-horsepower Hypersport can go from 0 to 62 mph in 2.8 seconds, and it can reach top speeds of 240 mph. So, you know, probably don’t try to outrun the cops in a speed chase. Pearl diving used to be one of the Arabian Gulf’s most important industries. Today, you can head out on a jalboot—a traditional pearling dhow—with Abu Dhabi Pearl Journey into the peaceful channel between Abu Dhabi and the Judairi Yat islands to see the divers at work and to learn a bit of history while snacking on local dates and Arabic coffee. You might also hear an Emirati sea shanty or two. 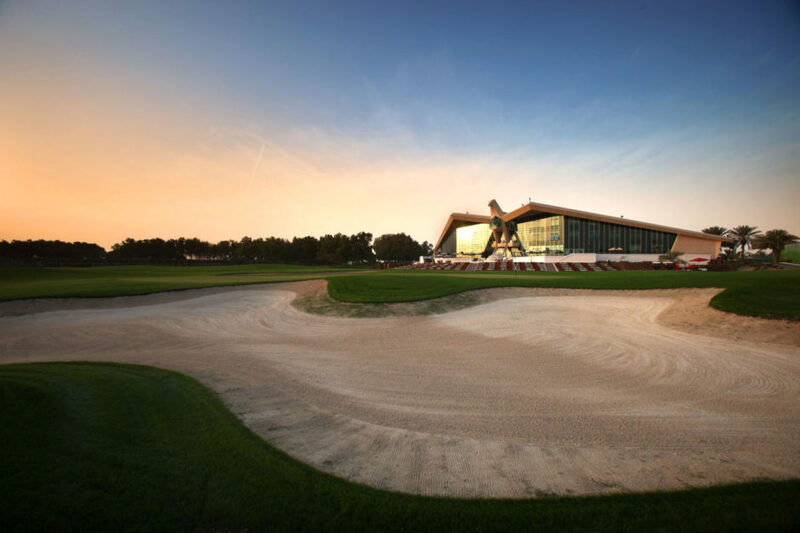 Abu Dhabi has a lot of great golf clubs; Abu Dhabi Golf Club is one of the best. It hosts the Abu Dhabi HSBC Golf Championship every year—and yes, that is a giant falcon presiding over the clubhouse facade. This really is an excellent Par 72 National Course. In fact, it’s been ranked among the World’s Top 100 courses by Golf World magazine. 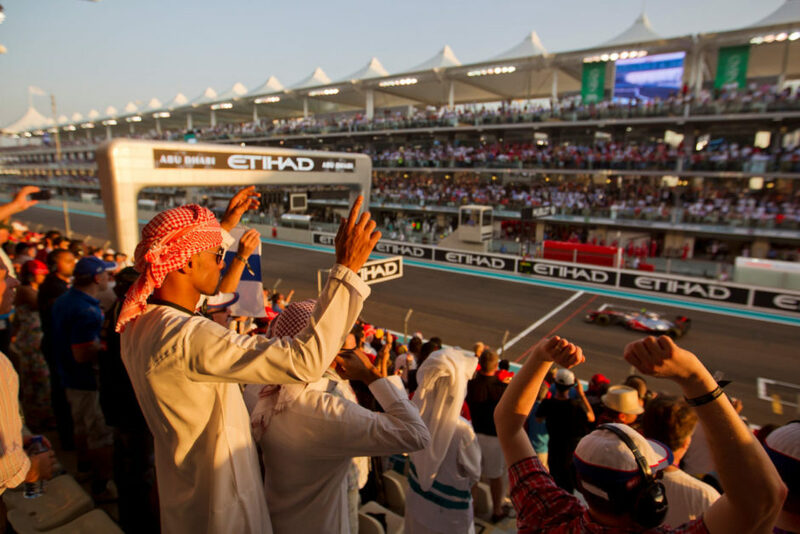 Coming into its eighth year, the Formula 1 Etihad Airways Abu Dhabi Grand Prix will take place at Yas Marina Circuit November 25-27, 2016. It’s the last race of the season, the only one that takes place at twilight, and it could well decide the F1 championship title. Opening the event as part of the Yasalam festival will be the Chemical Brothers, and closing the show is Rihanna. You'd think this were a mirage if you weren't already well acquainted with the grandeur of this city. Emirates Palace is a five-star luxury hotel that has not only raised the bar, but redefined it—the suites are designed in gold and marble, there's a floor reserved for the likes of royalty, and it's officially the second-most expensive hotel ever built, coming in at around $3 billion US. And you thought your Airbnb was impressive.